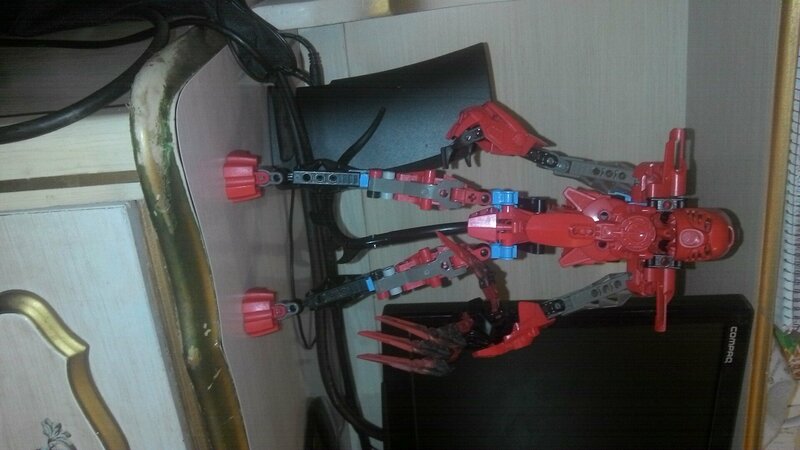 Can I build a Makuta? Sure, I'll put you on the list for a non-canon male Makuta. Make sure to read the rules if you haven't already. Could I make one? Thanks! Alright, on the list you go for a non-canon male Makuta. Make sure to read teh rules if you haven't already. Dang, if Only I could’ve took that last place, oh well guess I’ll wait till someone else is deemed inactive. You can! I'll put you on the list for a non-canon male Makuta. Make sure to read the rules if you haven't already. guess I’ll wait till someone else is deemed inactive. That's at least 3 months, I'm afraid. You could maybe try asking people who already have an accepted MOC if they'd give you their spot, however. This decision is fully up to them, though. THREE Makuta are to be assigned again! What if I’ve messaged someone about taking their place and have gotten no reply? What if I edited the story for this guy? NAME: Kaihoko TITLES: Makuta, Undertaker KANOHI/MASK: Kanohi Mahara, Mask of Memories (can change or erase one's memories) WEAPON(S): Sword of Souls, a sword fabled to be forged of the souls it reaps. Spear. ELEMENT: Death/shadows ALLEGIENCE: Self, Brotherhood of Makuta ILLUSIONS, PROLOGUE 2: "You are my right hand, my assassin, and the general of my armies," said the towering figure. "You're name... is Kahu,". "Ah, yes. I remember now! I am the Wielder of The Mist!" I stated. "Yes, Kahu. You are also the one who shall assist me in destroying the dark forces of the Toa...'' [image] [image] [image] WHOO! This one is so much better than my previous one! Enjoy! You have to be aware that not necessarily everyone is active every day. But there's not really much I can do in that regard until I post the reminders again (which I do every two months) - if someone doesn't reply to those within a month I remove him from the list due to inactivity. If you ask people if they would let you have their spot it would be best if you do that here in this topic - that way I can see it, too. Basically that would work, although I'd like some more/better pictures, too. Yup same happened to me it's best just to rebuild them i guess. My Wanitama revamp is nearly finished; Any suggestions on how to improve him more? (The only changes currently in the pipeline are custom lower arms). On a related note, you said that revamps will be taken into consideration when you revamp the models, but not for illustrations already done; however, what about story stuff? If I were to make his backstory more interesting, or at least change his mask power, would you change anything in his Book of the Brotherhood entry? That whatever it is behind Wanitama's legs on the second picture makes me wonder if one of these... skirt things (forgot how they were called), you know, the ones Clone Commanders from Star Wars sometimes wear, might look good on him. Otherwise I'd say he could use som red on the front of his legs and upper arms. And potentially better hips since they look like he can hardly move his legs forward if I'm not mistaken. Also those Mata hand shoulders limit arm articulation quite severely, don't they? Well, since the Brotherhood Project is cooperating with RSG now, story stuff has to be aligned to work for both projects. Just yesterday I gave the RSG guys a list of short Makuta descriptions to see what their opinion is. Perhaps I'll already get an answer later today. In general I'd say, changing story stuff is fine as long as I haven't written the Book of the Brotherhood entry, but you should only change minor things/add things, if possible. Changes of Mask power are always possible, though. 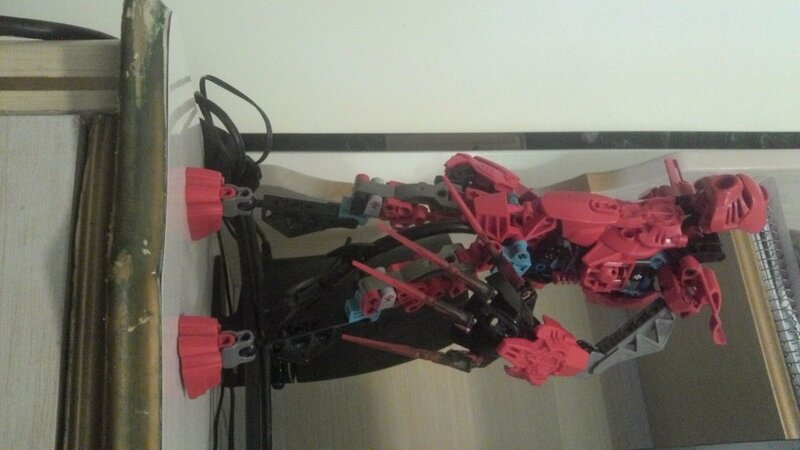 By the way what about your other Makuta? Because there are still people around who'd like to participate at all. You don't have to give up your spot if you don't want to, of course. Someone can take my spot if they’d like. I'd like to give my spot to @Omega_Tahu. I've been telling myself that I'd get back to working on this, but I just haven't been, even now that I've had more time. It's time for me to accept that I'm just not going to get around to it, so I'm handing the slot over to someone else.